Value investors may find good buying opportunities among this trio of companies from quite distinct sectors. The recent share price declines at each of these companies are largely sentiment-driven, with their fundamental value propositions intact, according to Morningstar analysts. After this education provider's share price collapsed in November 2017, it continued declining in response to a weak and uncertain outlook. However, Gareth James, Morningstar analyst believes G8 Education's (ASX: GEM) current share price reflects a market overreaction. He sees the short-term oversupply of childcare centres in Australia as a cyclical rather than structural issue. "We expect G8 Education to benefit from long-term demand tailwinds in the Australian child care centre sector, including a growing population of 0- to 5-year-olds, an increasing proportion of children using child care…and increasing child care fees," James says. He also points to anticipated population growth and expanding female workforce participation as additional factors supporting childcare demand growth. 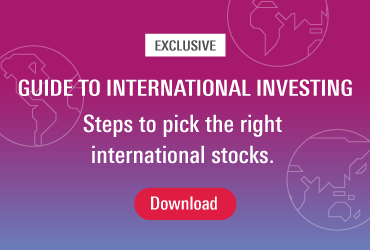 G8's upgrade to five-stars, from four, last month saw it added to Morningstar's Australia and New Zealand Best Stock Ideas for May. With a fair value estimate (FVE) of $4, it was trading at an almost 40 per cent discount to the company's $4 fair value estimate (FVE) at the time of publication. The share price of Greencross Limited (ASX: GXL) - a dominant player in pet care retailing and veterinary services - took a beating after the company announced a profit downgrade last week. Management now expects to deliver underlying earnings before interest, taxes, depreciation and amortisation (EBITDA) of between $97 million and $100 million for FY18 – down around 5 per cent year-on-year. In response, Morningstar analyst Daniel Ragonese reduced his FVE by 50 cents a share, to $6. He attributes this to company's additional $4 million in labour expenses, and a decrease in the number of animals visiting its veterinary clinics. However, he believes the "severe sell-off" was an over-reaction, noting the shares "remain undervalued relative to our revised FVE". Ragonese believes most of the headwinds Greencross faces are short-term and cyclical in nature. Over the long-term, he expects the integration of veterinary and other services within the retail network to both drive foot traffic and support margins. "The industry fundamentals are strong, with increasing humanisation of pets and premiumisation of pet foods likely to drive growth in spending per pet…[and] Greencross is well placed to capitalise on this trend," Ragonese says. Greencross' $4.18 share price at time of publication was trading at a 30 per cent discount to Morningstar's FVE. Village Roadshow (ASX: VRL) also saw a FVE downgrade last month, in response to a share price decline of more than 11 per cent after the theme park operator cut its earnings forecast. Visitor numbers for March were down as a result of poor weather conditions and competition from the Commonwealth Games. The company also continues to struggle with subdued attendance since the Dreamworld tragedy in 2016. However, Morningstar equity analyst Brian Han believes the poor performance is largely driven by “one-off factors” and trading is expected to recover in time. In the company's cinema division, the blockbusters “Avengers: Infinity War”, “Deadpool 2”, and “Solo: A Star Wars Story”, are expected to revive earnings in 4Q 2018. Han anticipates a recovery from fiscal 2019, as theme parks gradually rebound and cinemas overcome the recent poor run of box office performance. Village is trading at a 21 per cent discount to Han's revised FVE of $3.40, with a share price of $2.65 at time of publication. • Better days for active management? Emma Rapaport is a reporter for Morningstar Australia. © 2018 Morningstar, Inc. All rights reserved. Neither Morningstar, its affiliates, nor the content providers guarantee the data or content contained herein to be accurate, complete or timely nor will they have any liability for its use or distribution. This information is to be used for personal, non-commercial purposes only. No reproduction is permitted without the prior written consent of Morningstar. Any general advice or 'class service' have been prepared by Morningstar Australasia Pty Ltd (ABN: 95 090 665 544, AFSL: 240892), or its Authorised Representatives, and/or Morningstar Research Ltd, subsidiaries of Morningstar, Inc, without reference to your objectives, financial situation or needs. Please refer to our Financial Services Guide (FSG) for more information at www.morningstar.com.au/s/fsg.pdf. Our publications, ratings and products should be viewed as an additional investment resource, not as your sole source of information. Past performance does not necessarily indicate a financial product's future performance. To obtain advice tailored to your situation, contact a licensed financial adviser. Some material is copyright and published under licence from ASX Operations Pty Ltd ACN 004 523 782 ("ASXO"). The article is current as at date of publication.